How to Maintain a Car and Save Money at the Same Time! Owning a car makes life a lot easier, but it also comes with a lot of extra costs and responsibility. Car owners know that having a vehicle can be expensive at times, especially if the car is not maintained properly. Fortunately, there are several ways you can save your hard-earned dough by just doing a few things to make your car run better and more efficiently. Whether you drive your vehicle a long distance every day, or just sporadically throughout the weeks and months, everyone can benefit from these tips that will make your car much more cost-effective. Perhaps the most common way drivers can save money is at the gas pump. With gas prices constantly changing, this can be a challenge. 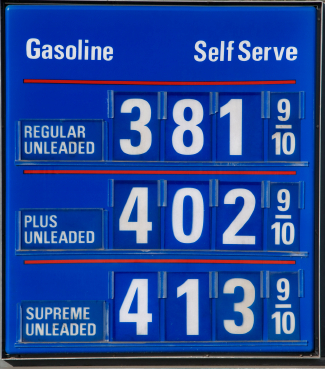 There are typically three different grades of gasoline: low, mid, and high grade, and each one increases in price per gallon. It is actually more cost-effective to use the lowest grade of gasoline, and most manufacturers agree. This can save you tons of money when you go to pump gas. How you drive can also have an impact on how much gas you use. Avoid idling if possible, and start and stop gently rather than gunning it or slamming on the breaks. Staying within the local speed limit can help as well, because studies have shown that anything over 60 miles per hour can decrease gas in your tank significantly. Routing your trips more efficiently can also help, because you can avoid driving too far too often. Plan ahead when you go out to run errands, and you'll notice the gas savings. Maintaining your car will save you quite a bit of money in the long run. Regular oil and filter changes are a must, as well as changing your air filter on a regular basis. Make sure your vehicle's tires are properly inflated in order to save gas, stay safe, and avoid an unexpected flat. Having regular tune-ups will not only improve your car's performance, but it will also save you from potential break downs. Read your car's owner's manual so you know where certain things are located in case you need to make a quick fix. Change out your wiper blades every few months, and make sure your brake and tail lights are working properly. Check your brakes as well; many places offer brake inspections free of charge. This will help to ensure your car is operating correctly, and can save you from issues later on. We've all heard the horror stories of people getting ripped off by a mechanic. Don't be a victim. Find a local mechanic that you trust and can build a relationship with. Ask family members and friends if they have any recommendations as well. You can also check with the Better Business Bureau to find out which mechanics in your area have a good reputation. The more you know about your car, the more you'll be able to tell if you're getting a good deal on a repair. If your car does need to be fixed, shop around if it's possible and get more than one estimate before making a final decision. Don't be surprised if you get several different answers about what is actually wrong with your car! Often, the labor to fix a car can cost substantially more than the actual parts. Ask the mechanic if you can purchase the parts yourself and only pay for the labor to put them in. Some places will do this, and it can save you a ton of extra money. If you're looking for a replacement car or just an additional car, know what the best deals out there are, and set a limit as to what you're willing to pay. Today's modern cars run well, and the odds are you can find a used car at a decent price that will still last for many years to come. Be aware of current financing plans available, and look at what the current interest or trade-in rates are. By knowing your limits in advance, you can avoid haggling. Tell the dealer up front what you're willing to pay, and then don't stray from that number. If he can't offer you what you need at the price you want, there will definitely be a dealer who can. Many dealerships try to sell car buyers extras like undercarriage coatings and other frivolous additional charges. Be sure you decline these, and that alone can save you money. Look into manufacturer's warranties and find out what they cover and how long they last. Having a warranty is a great way to save on repair costs.